Hazrat Mohammed Mustafa, the Holy Prophet of Islam ﷺ.
Hazrat Sheikh Khwaja Sayed Nizamuddin Awliya‎ (رحمتہ اللہ علیہ) (حضرت شیخ خواجة سیّد محمد نظام الدّین اولیاء)represents in many ways the pinnacle of the Chishti Order (Silsila). At first they lived in Lahore, but later they took up their residence in Badayun (east of Delhi). Soon after, Khwaja Arab‎ (رحمتہ اللہ علیہ) married his daughter Bibi Zulaikha‎ (رحمتہ اللہ علیہ) to Khwaja Ali’s‎ (رحمتہ اللہ علیہ) son Khwaja Ahmad‎ (رحمتہ اللہ علیہ). Hazrat Nizamuddin Awliya’s‎ (رحمتہ اللہ علیہ) father passed away when Hazrat Nizamuddin Awliya‎ (رحمتہ اللہ علیہ) was five years old. He was so sharp-witted, wise and understanding that he was given the title “Debater, capable of defeating the congregation.” He became distinguished in the science of Tafsir (commentary on the Qur’an), in the knowledge of Ahadith, in Fiqh (Islamic Jurisprudence), mathematics and astronomy. Khwaja Shamsul Malik‎ (رحمتہ اللہ علیہ) was among his most learned teachers. He received a testimony of knowledge of Ahadith from Mawlana Kamaluddin‎ (رحمتہ اللہ علیہ). One day, a certain Qawwal (Sufi musician) with the name of Abu Bakr‎ (رحمتہ اللہ علیہ), came from Multan to visit Hazrat Nizamuddin’s‎ (رحمتہ اللہ علیہ) teacher. The teacher asked for information about the Sufi Sheikhs of Multan. The Qawwal started his concert with this line, “The living serpent of love has bitten my heart.” But then Abu Bakr‎ (رحمتہ اللہ علیہ) could not recollect the second line. Hazrat Nizamuddin Awliya‎ (رحمتہ اللہ علیہ) helped him to do so, and seeing this, the Qawwal became very attentive towards him. From that day, Hazrat Nizamuddin Awliya‎ (رحمتہ اللہ علیہ) became very much attached to Baba Fareed‎ (رحمتہ اللہ علیہ). Hearing this, Hazrat Nizamuddin Awliya’s‎ (رحمتہ اللہ علیہ) condition changed. It was as if he received spiritual illumination from every direction. And, without any food, he left Delhi in order to present himself to Baba Fareed‎ (رحمتہ اللہ علیہ). On 2nd Rabi’ul Awwal 656 AH (1258 AD), Baba Fareed‎ (رحمتہ اللہ علیہ) bestowed Khilafat and Wilayat to Hazrat Nizamuddin Awliya‎ (رحمتہ اللہ علیہ) by giving him the special turban, which came to Baba Sahib from Chisht (Afghanistan). After arriving in Delhi, Hazrat Nizamuddin Awliya‎ (رحمتہ اللہ علیہ) ascended the throne of Khilafat-e-Peeran-e-Chisht, i.e. 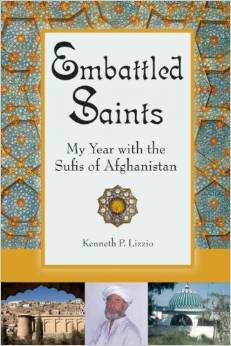 he became a Caliph/successor of the Chishti saints. He was the most loved disciple of his master. He was so close to his master that once Nizāmuddīn Auliyā‎ (رحمتہ اللہ علیہ)’ said, “If sharī’ah allows me I would like him to be buried with me in the same grave.” He also said that whoever comes to visit his grave must visit the grave of Ameer Khusro first and then his. He died within a few months of his master’s death. He was buried at the feet of his master. His shrine is in Nizāmuddīn‎ (رحمتہ اللہ علیہ) Dargāh, New Delhi. 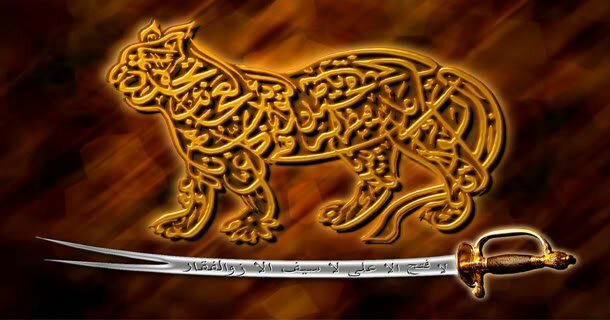 He was given the title of Ā’inah-e-Hind (Mirror of India) by Nizāmuddīn Auliyā‎ (رحمتہ اللہ علیہ)’ and lived with him for a long time. He was amongst the earliest disciples of Nizāmuddīn Auliyā‎ (رحمتہ اللہ علیہ)’, who sent him to West Bengal. His shrine is in Gaur, West Bengal. In the early period of his life, Hazrat Nizamuddin Awliya‎ (رحمتہ اللہ علیہ) experienced great poverty. In Sultan Ghyasuddin Balban’s time, one could buy melons for very little money, however the greater part of the season would pass without Hazrat Nizamuddin Awliya‎ (رحمتہ اللہ علیہ) eating a single slice. One day a pious lady brought some barley flour and presented it to him. He asked Sheikh Kamaluddin Yaqub‎ (رحمتہ اللہ علیہ) to boil it in a cauldron. 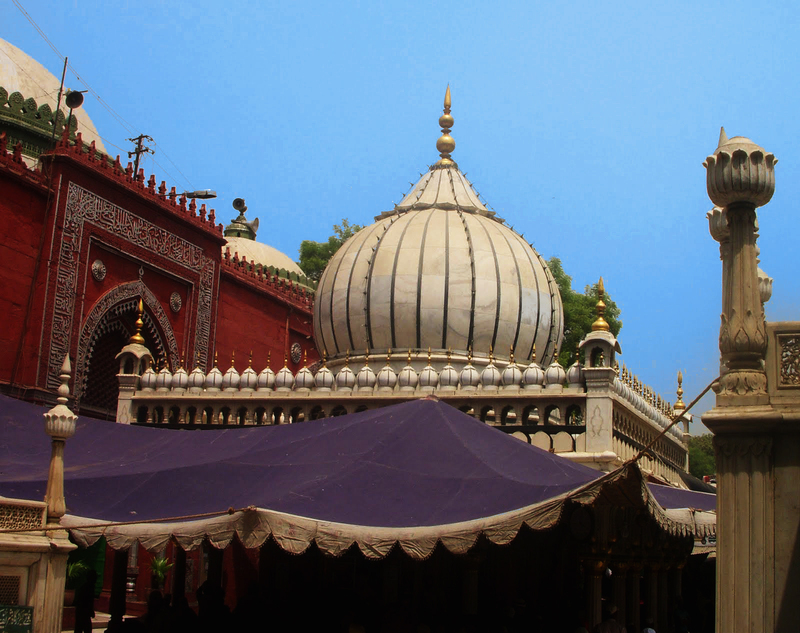 At that moment, a faqir with a patched frock arrived and with a loud voice said, “O Nizamuddin! Bring whatever is present.” Then Hazrat Nizamuddin Awliya‎ (رحمتہ اللہ علیہ) gave all the food to him. The faqir ate it all and then broke the cauldron. Hereafter he said, “O Nizamuddin! You have received the bounties of the invisible world from Baba Fareed‎ (رحمتہ اللہ علیہ), and the bowl of visible poverty I have broken. Now you have become the Sultan of both the visible and invisible world.” From that day on, countless gifts started arriving and free food was distributed to hundreds of visitors every day. Hazrat Nizamuddin Awliya‎ (رحمتہ اللہ علیہ) was very generous as demonstrated in the following narration, which can be found in Hazrat Abdur Rahman Jami’s‎ (رحمتہ اللہ علیہ) Nafhatul Uns. Hazrat Nizamuddin Awliya‎ (رحمتہ اللہ علیہ) had great love for sama (Sufi music). His friends, disciples and students used to perform such Qawwali (music) in his presence that even animals used to stop and listen to it. One day he was out for a walk, when he saw a person who was pulling water out of a well and was saying in a loud voice to his companions, “Remain outside today, brother!” Hazrat Nizamuddin‎ (رحمتہ اللہ علیہ), after hearing this, started weeping, and his Khuddam (servants) repeated that line until they reached home again. Hazrat Nizamuddin Awliya‎ (رحمتہ اللہ علیہ) remained a bachelor all his life. Once his kamarband (a rope used to fasten a pair of trousers) got away from his hand. Baba Fareed‎ (رحمتہ اللہ علیہ) then said, “Tighten the kamarband properly.” Hazrat Nizamuddin‎ (رحمتہ اللہ علیہ) asked, “How should I do it?” Hazrat Baba Fareed‎ (رحمتہ اللہ علیہ) answered, “Tighten it in such a way that except the Hooris (Hoori – a lady creation of Jannat) of heaven, nobody is capable of opening it.” Hearing that Hazrat Nizamuddin Awliya‎ (رحمتہ اللہ علیہ) put his head on the floor and did not marry. Another Sultan, by the name of Ghiyasuddin Tughlaq, wanted Hazrat Nizamuddin Awliya‎ (رحمتہ اللہ علیہ) to leave Ghyaspur before the Sultan’s visit to Delhi. Hazrat Nizamuddin Awliya‎ (رحمتہ اللہ علیہ) was saddened by this and remarked, “Delhi is still far away.” Then just before the arrival of the king in Delhi, the palace of Tughlaqabad collapsed over him and he was killed. After hearing this verse, Hazrat Nizamuddin Awliya‎ (رحمتہ اللہ علیہ) simply said, “There are different effects of company on different men.” At once, Khwaja Hassan‎ (رحمتہ اللہ علیہ) fell down at the feet of Hazrat Nizamuddin‎ (رحمتہ اللہ علیہ) and along with his friends became a Mureed (spiritual disciple) of Hazrat Nizamuddin Awliya‎ (رحمتہ اللہ علیہ). The explanation of Hazrat Nizamuddin Awliya‎ (رحمتہ اللہ علیہ) was like this: “The son of the washerman of the king, without seeing the princess, was in love with her. He used to wash her clothes with utmost care, and even mended and improved them by various means. Without seeing her, he used to moan and weep in the memory of her beauty. His parents became very worried. To speak about it is a problem and to not speak about it is a problem. We are washers and she is a princess. How can the dust of the earth be compared with the sky? So they tricked him in order to try and change their son’s thoughts. One day his mother came to him with a grief-stricken face. He asked what the matter was with her. Then she explained, “Today was the soyam (the third day after the death) of the Princess whose clothes you used to wash. The boy asked three times, “Has she died?” and then with a shriek, he died. On the fourth day, the washerwoman brought the clothes back to the princess. She asked, “Who has washed these clothes today? They do not look as clean as they used to be. Their neatness used to look as if love had been involved.” Hearing this, the washerwoman became sad and started to weep. On being forced by the princess, she explained everything. The princess then wished to visit his grave. At once, when she was there, the grave cracked and the princess said, “It cracked at places. Ah! Whose grave is this? Probably a restless heart is buried in it.” Then the princess fell down and passed away. In the assembly of the Prophet’s recite verses from the humble being ‘Nizam’.